Most job position openings receive hundreds of resumes and applications. This will be the first thing people see to get a glimpse of who you are. You can either stand out by being so awful that you’ll be remembered as an example of what not to do, or you can stand out by having an exemplary resume that is crafted for the position, and accurately describes who you are as an employee in one page of text. In today’s post, I’ll walk you through the anatomy of a perfect resume, as well as some formatting tips that will ensure sure it won’t be your resume that gets between you and that next great job offer. Note: I’m using examples from my own resume. This resume served me well and landed me multiple interviews, and ultimately a job offer, within three weeks of being laid off. Your email address should be either just your name, or some professional variation of it. If you don’t have an email address like that, create one. Right now. The hiring manager will trash your resume as soon as he sees the [email protected] email address that you created in high school. You don’t have to detail whether your phone number is a cell phone or not, but I chose to for the simple fact of letting a hiring manager know that I was available at any time at that number. This is an important piece that many folks either leave out, or have never even heard of putting on a resume. This statement will succinctly declare what you’re looking for in a job, as well as show your potential employer that you have clear goals and aspirations. Now, I don’t want my heading of “Skip the Details” to be misleading. You want to list your school(s) and degree(s). I chose to list my specific degree earned, with my major in parentheses. What you want to skip is your GPA and the year you graduated. Depending on the field, your GPA could be helpful. For more technical professions, it’s something that an employer may like to see, especially if it’s high. My advice, however, is to always leave it off, unless it’s 3.8 or higher and you graduated with honors. Legally, employers aren’t allowed to discriminate based on age, but in the resume-collecting stage, it happens all the time. Older folks will be looked over, younger folks will be dismissed, and those in between might not be “just right” for the position. They’ll find out roughly how old you are when you get an interview — you don’t need to give them the info ahead of time. This section can also be tailored, depending on the position. For instance, I also have a degree in Religious Studies, but that wouldn’t be useful for a marketing or public relations position, so I left it off in the majority of resumes I sent out. As the bulk of your resume, this chunk deserves the most time and attention. You first want to make sure that you’re highlighting only the two or three most relevant experiences. Many folks these days, especially of the millennial generation, are switching jobs every 1-3 years, so there is probably more than is worth sharing. Switch these around if particular experiences are more relevant to a certain position you’re applying for. No two resumes you send should be exactly the same! If you’re in high school or college, highlight internships, your leadership in clubs/organizations, and community service projects you did. Start with your company or organization’s name, then your title, and years worked. This could be specific dates, or it could also just be length of time at each position. There was no real reasoning behind how I did it — simply what I felt like at the time. Often the hardest part of creating a resume, you want to make sure that your bullet points under each work experience accurately reflect your time and accomplishments there. This can be challenging with limited space, so shoot for 4-5 bullet points per listing. The main point here is that you want specific achievements and responsibilities. It’s not enough that you set up a Facebook page — how many “likes” did it get? Did it lead to sales or generate any revenue? Perhaps you were in retail. How many customers did you serve per day/month? How much revenue did your location produce? This was a point that I could have improved in my resume. I had a few specifics sprinkled throughout, but I would have been better off with even more. Employers, more than ever, want to see that you not only performed an action, but saw results from that action. In this section, it’s tempting to say you are an expert with Microsoft Word or that you know how to use an iPhone. Employers don’t care about that, and assume that most people applying know how to do the basics of the job they are applying for. If you’re going for a social media marketing position, they’d hope you know how to use Facebook. If you’re applying to be a bank teller, they’ll probably assume you can count money. What you want to do with this section is show which skills you have that set you apart. In the world of marketers, not everyone has video editing experience, or coding knowledge, so I wanted to make sure that was highlighted. Also, I know that measuring the return on marketing is a hot topic, so I made sure to include that I had experience with Google Analytics software. If you are in retail and have worked a POS system/machine before or done inventory, use that. Those are skills that not everyone coming into retail has had. If you are applying for an administrative position and you are an Excel or QuickBooks expert, mention it. 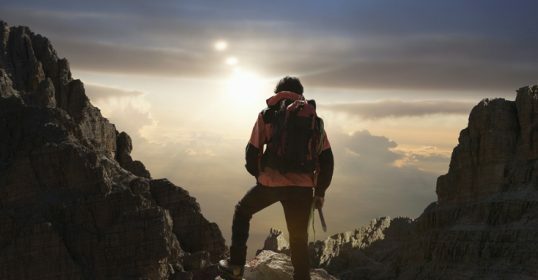 Again, think about those skills and technologies that would be needed for the position, and how you set yourself above the pack by being an expert. This is also the place to highlight any technical or professional certifications you may have. I didn’t have any, so I obviously didn’t list any. With the language in this section, you want to try to describe your level of knowledge. And for your own sake, be honest. If you say you’re an expert at fixing computers, you darn well better be, as it will be quite embarrassing when you get the job and can’t perform some basic functions that you listed on your resume. If you are truly an expert, don’t be afraid to say it. “Working knowledge” basically means intermediate experience, and just say “Basic understanding of…” if you are a beginner. You’ll also notice that I listed some character traits along with technical expertise. This was a bit of a bold choice on my part, but I thought it worked quite well. In today’s job market, specific skills change so quickly, and are so often learned on the job, that I wanted to make sure any potential employer knew about my lasting traits that would make me a great employee. Being an adept problem solver or a quick learner (something I listed on other resumes) is perhaps going to mean more than knowing how to create equations in Excel. Some experts may say to stick these in the cover letter, but I say to take the small risk and put it here as well. Show them that you see these character traits as skills that are equally as important as technical qualifications. This is where you can get a little bit personal and mention any volunteer work you’ve done, any professional organizations you’re a part of, or even hobbies you might have if you’re younger and don’t quite have those experiences. (Please, however, never list “video games” as a hobby. Trust me. And yes, I’ve seen that on resumes.) Employers often want to know you’re a well-rounded person with other activities outside of work. Some may not, and will want weekend warriors, but you don’t want to work for that company anyway. You’ll notice that I listed some college achievements. As I’m a few years beyond that now, I’ll probably strike those from the next resume I send out, when that time comes. Again, if you haven’t really been involved in organizations, list some personal achievements. Maybe you built a canoe out of a tree. That’s definitely worth mentioning. Perhaps you read 100 books in a year — that’s something unique and interesting that an employer would remember. Feel free to use this section as kind of a wild card. If you don’t have the community involvement as much, call it “Personal.” If you’re applying for a writing job (as I did a couple times), use that section as “Published,” and list publications you’ve been featured in. If you’re an architect, perhaps you say “Proudest Achievements” and list your favorite designs. Be creative with it and make it something that stands out. 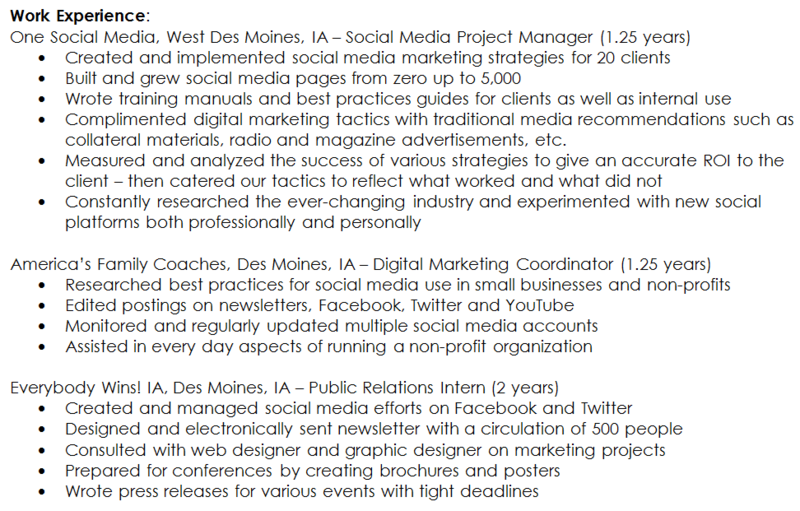 One of the biggest things I see in poor resumes is simply inconsistent formatting. Fonts are different, periods are used inconsistently, bolding/italics are not used in the same fashion, etc. There are no hard and fast rules regarding formatting, other than the fact that you need to stay consistent within your resume. You’ll notice that in all my lists, no periods were used. If you choose to use periods, that’s fine, just make sure you do for every single item. Even things like en dashes versus em dashes need to be consistent. Spacing needs to be consistent. I cannot say this enough — everything needs to be consistent. The easiest way to do this is to simply print your resume and give it a visual scan. If things look off, change it. Also give it to someone else to read — they’ll notice mistakes much easier than you will. You also need to double-check your spelling of company names, and any software/brand names you use in your resume. For instance, in my resume, it’s YouTube, not Youtube or youtube. This is simply a set of guidelines for you to follow. You do have freedom to be creative, but try to stick with this general format for the majority of the positions you apply for. In the design world, it’s obviously a different story, and you’ll have to look within your industry to determine what’s appropriate. Should you stay within one page? My answer is always yes. Even if you’ve been in the workforce for a long time and are applying for higher level positions, stick with one page, and mention that you have a full and lengthier resume available upon request. Update your resume on a quarterly basis. 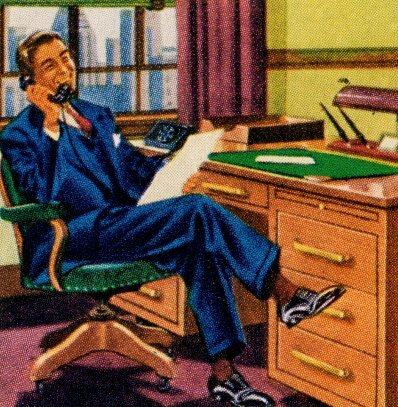 Make an appointment with yourself to spend 30 minutes every quarter looking over and updating your resume. Maybe contact information has changed, maybe you have additional work to add in, etc. You never know when you’ll need a fresh resume. Every hiring manager is different. There are no guarantees with resumes as to what will work and what won’t. It’s often based on the personality of the person looking at the resumes. In other words, don’t blame me — just continue to refine what you have. What have you done in your resume that worked to get you a job? Editor’s note: Jeremy knows wherewith he speaks. We recently hired him as our first AoM employee. He’ll be working as an editor and community manager for us, and will also be penning articles on occasion. Welcome aboard Jeremy! We’re so glad to have you on the team.